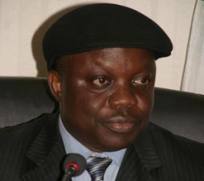 The Delta State Governor, Dr. Emmanuel Eweta Uduaghan has been commended for his visionary leadership since inception as the governor of the state. A Peoples Democratic Party Chieftain in the State and member, Uduaghan Solidarity Front in Oshimili South Local Government Area, Mr. Peter Nwadialu who made the commendation in Asaba, described the 3 point agenda of the Uduaghan led administration, especially the human capital and infrastructure development as laudable initiatives that had accorded so much economic and social impact on the lives of Deltans. Mr. Nwadialu who gave the appraisal in Asaba, said that the construction of roads in different parts of the state would help open up the rural areas to urban cities, adding that road networking would facilitate socio-economic activities in the state. He stated that the Asaba International Airport would not only turn around the economic fortune of Asaba and environs, saying that it would also boost the economy of the state in general through the investment opportunities that would help cushion the effects of unemployment in the state. The PDP Chieftain said that government through micro credit empowerment scheme had affected the lives of many Deltans, saying that a lot of women and youths had benefited from it since inception of Uduaghan’s administration. Mr Nwadialu enjoined PDP faithful to shun acts capable of causing chaos during the forthcoming PDP’s National Congress, just as he also advised Delta North to rise up to the occasion of producing the next Governor. The PDP Chieftain said that it could be difficult for the Delta North to produce the next governor if they allowed factions to disorganise them, even as he advised them to speak with one voice.